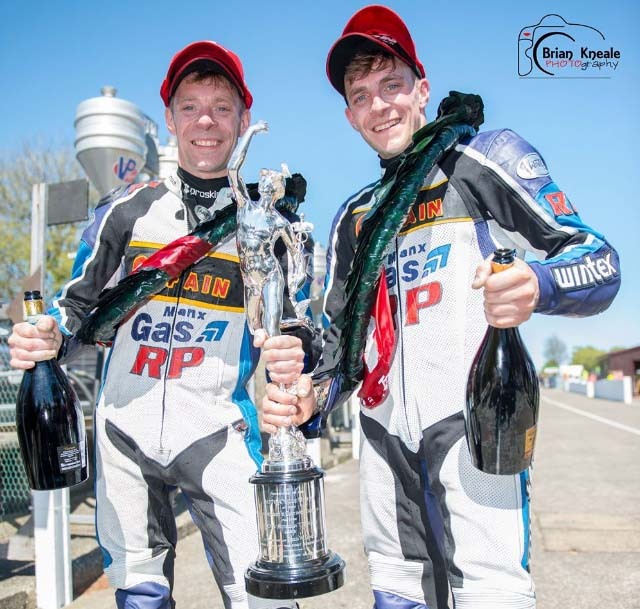 The TT races could not have gone any better for Ben and Tom Birchall who took a convincing win in both three lap races at this year’s Isle of Man TT races taking their total of wins to three in the last three years. They also set a new race record in the first encounter of 58m 39.776s. The second race went equally as well with Ben and Tom securing a comfortable seven second win over Dave Molyneux and Ben Binns, posting their own personal best lap time with a 116.783mph and also setting a new race record of 58m 24.971s which shaved a further 14.8s from the time they set in the first race. Although Ben and Tom set a new race record and a new personal best lap time they just missed out on the lap record by 0.002s to Dave Molyneux and Ben Binns.